Home / Unlabelled / MakeUseOf | How to Play Retro Games on Your PC, Legally! MakeUseOf | How to Play Retro Games on Your PC, Legally! Modern video games are great, but they don't always have the charm of the classics. So if you have the urge to play a game of Zombies Ate My Neighbors, unless you happen to have your old SNES plugged into a CRT TV, this can be tricky. Emulation isn't illegal. You can have any number of emulators installed on your computer. Using an emulator to play a ROM of a classic game isn't illegal either. You have a PC, and you've got some old PC games. It should be easy to play them right? Unfortunately, it's anything but. Some more recent games may work on Windows 10 running in Compatibility Mode, but for older DOS games, you'll need something else. DOSBox is DOS emulation software that lets you run a wide range of DOS-based software, not just games. As long as you have your old disks, there's a good chance that you can get them running in DOSBox. That said, you may need a USB floppy disk drive or CD ROM drive to get this working. Getting up and running with DOSBox is fairly simple but beyond the scope of this article. Fortunately, we already have a guide to playing retro games with DOSBox. If you don't already have a closet full of games, buying old games from modern digital storefronts is your best option. This option also presents zero legal issues. The most popular place to buy older PC games is Steam, which shouldn't come as a surprise. It's not the only option, though. 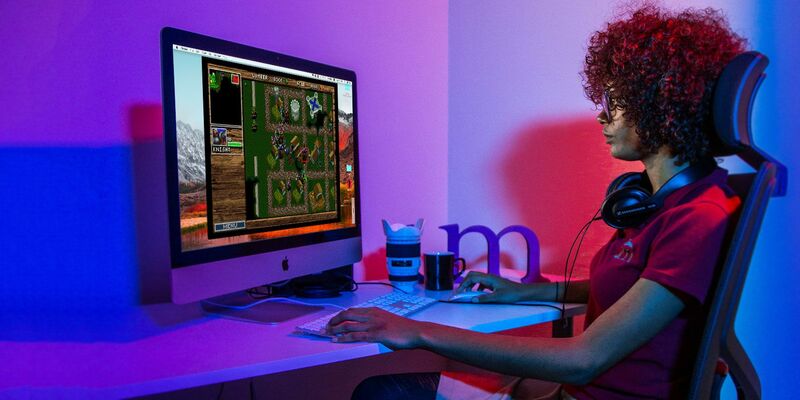 GOG, formerly known as Good Old Games, is another great place to buy retro PC games. Older games on GOG often come with extras like maps and scans of the original manuals, which you won't usually find on Steam. GOG also takes care to make sure older games are playable on modern systems. We have listed the old PC games still worth playing to help you sort the wheat from the chaff. When it comes to console games, your pickings are a little slimmer. You still have a choice of retailers, but you'll generally have to rely on collections of retro games. If you're a Sega fan, the SEGA Mega Drive and Genesis Classics collection is a great one, with 59 games included for a list price of $29.99. For arcade fans, a number of SNK NeoGeo classics are available for individual purchase from GOG. If you're a Nintendo fan, you're out of luck when it comes to buying older games to play on your PC. However, if you happen to have your old SNES cartridges, you can get them working on your PC totally legally. It just takes a little work. First off, you'll need the right hardware. The most popular option is the Retrode 2. When you rip the games, you don't just get the game ROM. Unless the cartridge's internal battery has died (which is entirely possible), you can dump your old save games too. This is very handy if you never finished Chrono Trigger, for example. Once you've got your games on your PC, you'll need an emulator or emulators to play them. One of the easiest ways is to install a front end that can manage multiple emulators for you. If you're using Windows, your best bet is RetroArch. This lets you run emulators for nearly any retro system you can imagine and tacks on modern features. For example, you can play two-player games over the internet, which is great if you don't have anyone to play against. If you don't have a box of old cartridges and still want to scratch your retro gaming itch without spending a dime, you've got a few other options available to you. Some creators of older games have made their games available free of charge, so they're entirely legal to have and use. There is a collection of free ROMs available on the MAME website. Star Fire and Top Gunner probably don't ring a bell, but you could still have a blast playing them. The Internet Archive offers up The Internet Arcade, which is not only fully legal but also lets you play games over the internet. Since everything happens in your browser, you don't even need to install an emulator. You'll find a number of well-known games like Outrun, Defender, Joust, and Paperboy. If you're looking to kill an afternoon without putting in much work, this is the option for you. You're now all set up to play old games on your PC, but what about playing old games on the go? Technically, your laptop counts, but hauling it out on the bus for a quick round of Smash TV isn't ideal. Fortunately, there are DIY projects to make portable retro gaming easier. If you like to build things yourself, the ClockworkPI GameShell might be just what you're looking for. It's not perfect, but it's an interesting piece of hardware that will cost you less than a new handheld. For more information, check out our review of the ClockworkPI GameShell. Read the full article: How to Play Retro Games on Your PC, Legally!